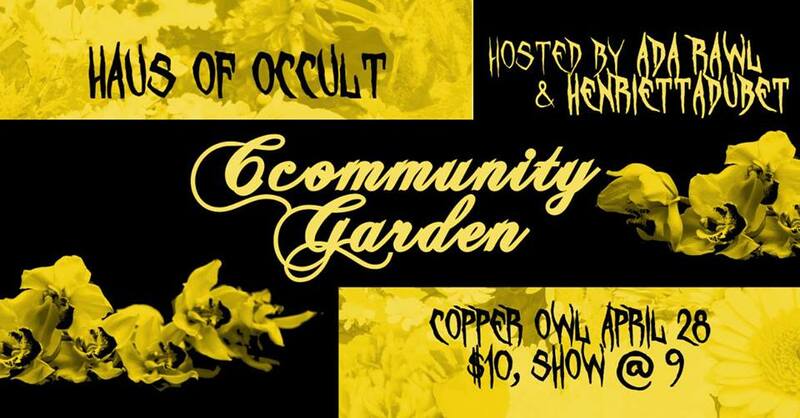 Hosted by Occult sister Ada Rawl and a special guest! We, as a group, would like to acknowledge with respect the Lkwungen-speaking peoples on whose traditional territory Victoria/Copper Owl stands and the Songhees, Esquimalt and WSÁNEĆ peoples whose historical relationships with the land continue to this day. As artists operating on this stolen land it is important to recognise and work against colonialism and systemic racism in any form. The venue has a large set of stairs on entry, limiting accessibility. That being said, we have 20+ seats arranged which can be reserved ahead of time, although only for people who need seating.